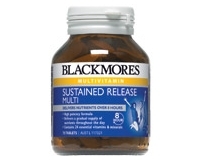 Blackmores Sustained Release Multi is specifically formulated to provide many of the nutrients your body requires over a sustained 8 hour period. The release of key vitamins and minerals over a prolonged period ensures nutrients are available when your body needs them. This is particularly important for vitamin C and the B vitamins which are water soluble and not stored in the body in large amounts. The nutrients in this sustained release formula are embedded within a cellulose gum matrix. This swells and breaks down during the digestive process, causing gradual diffusion and release of nutrients over an eight hour period. 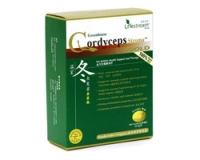 Adults - Take 1 tablet a day with meal, or as professionally prescribed. Children under 12 years - We recommend Blackmores Kids Chewable Multi. Contraindications and cautions The recommended adult daily amount of vitamin A from all sources is 2 500 IU. Dosage: WARNING - When taken in excess of 8 000 IU vitamin A can cause birth defects. If you are pregnant, or considering becoming pregnant, do not take vitamin A supplements without consulting your doctor or pharmacist. Selenium is toxic in high doses. Selenium in dietary supplements should not exceed a daily dose of 100 µg.